Lonnie Rushing is the Transportation/Maintenance Director for Clarksville ISD. He can be reached by dialing 903-427-3891 ext 800. If for some reason you do not reach him, please leave a message and he will return your call. His email is lrushing@clarksvilleisd.org. 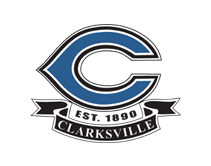 Chuck McClary is the mechanic for Clarksville ISD. Glenn Edwards and Terry Thompson are our Maintenance workers. Bobby Simmons works in the Transportation Department and Cafeteria.